If you’re a fan of Bridget Jones you might have noticed a few of our venues appearing on the big screen in her latest film, Bridget Jones’s Baby. Located at the edge of the River Thames, the brilliant Glaziers’ Hall provides views of the City, giving guests a beautiful backdrop for their events. 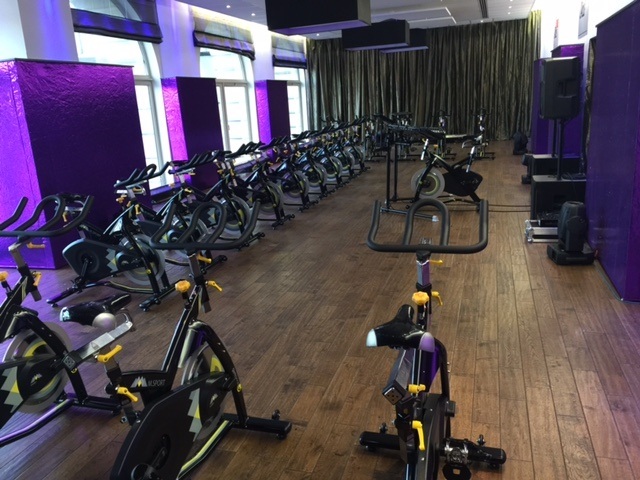 The cast and crew of Bridget Jones agreed, choosing it as the setting for Bridget’s punishing disco spinning class, which features in the latest film. The available event spaces at Glaziers’ Hall offer great flexibility for any event, so whether you need to film a pretend exercise class for a blockbuster movie, or you’re looking for somewhere special for drinks and dinner, it’s a great choice. Glaziers’ Hall wasn’t the only Create venue to appear in Bridget Jones’s Baby. Our popular City venue, Old Billingsgate, also starred in the film, when it was used as the setting for the technology conference attended by Bridget Jones and Mark Darcy. We also got a glimpse inside the conservative world of Mark Darcy via the Supreme Court, which is another venue our clients can use for their events. The use of this space for filming was particularly special as it’s never been allowed before. The film crew spent a week in the building, taking care not to disrupt any court business during their residency. So, if you’re a big Bridget fan get in touch and you could arrange your next event at one of her latest haunts!